The other day, driving down to Aligarh, I noticed many a wall freshly painted in Jevar, a few kilometres off Greater Noida. Covered in light yellow, every wall had a little slogan in blue, “Gau mata ko rashtriya pashu banao” – Make the cow the national animal. A socio-religious group was obviously in action. In the heart of Noida was another message, similarly scribbled on many a wall near Sommerville School: “Gau mata ko rashtra mata banao” – Make the cow the Mother of the Nation. Another said, “Jo gau hitt ki baat karega woh rashtra par raaj karega” – Whosoever speaks up for the wellbeing of the cow shall rule the country. The messages were not-so-subtle attempts at making majoritarianism interchangeable with nationalism, taking my mind to the age-old debate of majority communalism passing off for nationalism. 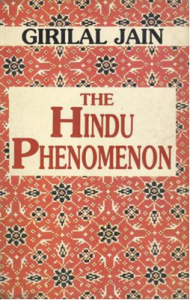 The phenomenon is neither new nor even recent. Many summers ago, it raised its head during the Babri Masjid-Ram Janambhoomi struggle; but actually dates back much further in time. We were taught by our history teachers in school how the use of Hindu symbols by the Bal-Pal-Lal – Balgangadhar Tilak, Bipin Chandra Pal and Lala Lajpat Rai – triumvirate post the partition of Bengal in 1905 alienated Muslims from the freedom movement, something which was sought to be redressed by Mahatma Gandhi’s espousal of the Khilafat cause in 1919. Gandhi’s support to Khilafat proved a masterstroke, bringing many more Muslims into the freedom struggle and allaying their fears of majoritarianism. Incidentally, our freedom movement spearheaded by the moderates of the Indian National Congress had a parallel Hindu awakening movement. 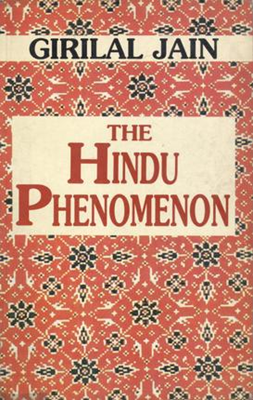 This had less to do with hostility towards Muslims, more to do with recapturing the Hindu past, real or imaginary. For instance, as recalled by Girilal Jain in “The Hindu Phenomenon”, “Bankim Chandra Chatterjee synthesized the Western secular concept of nationalism with the tradition and needs of Hindus even if he was thinking in terms of Bengal and not India when he wrote his famous novel ‘Anandmath’ which contained the patriotic poem ‘Bande Mataram’ that became the national anthem during the struggle for freedom.” In a telling comment on the state of the society-polity post Independence, the song was replaced by Rabindranath Tagore’s ‘Jana Gana Mana’ as India moved away from religious patriotism, all along assuaging the sentiments of those whose devabhoomi and janambhoomi were separate entities unlike the Hindus or Sikhs for whom devabhoomi and janambhoomi were the same. Now juxtapose those sentiments with the recent attempts at promotion of Sanskrit, marginalisation of foreign languages and you know where it is stemming from. Similarly, the new laws safeguarding cattle. That is just another attempt at infusing a Right-wing Hindu element in the polity. Never mind that historians like Romila Thapar and DN Jha have categorically regarded the cow to be a unit of exchange for economic transactions in ancient India rather than a sacred being. Or the stray remarks by Right-wingers about India’s soul being Hindu or every Indian being a Hindu. These comments only appear to be stray or intemperate. They actually all draw from the rivulet of majoritarianism. However, unlike the spiritually driven movement of the 19th and 20th Century with luminaries like Raja Rammohun Roy and Sri Aurobindo, the present one is fuelled by hatred, intolerance and bigotry.